Today’s the big day! 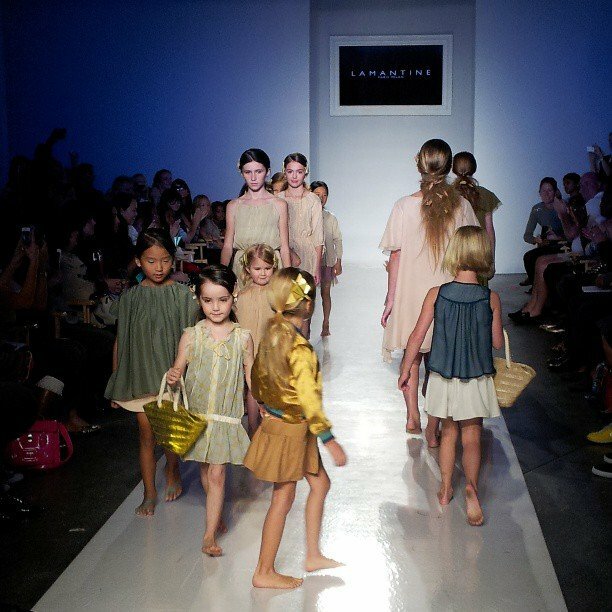 PetiteParade Kids Fashion Week is here….Today, Saturday, October 5th and tomorrow, Sunday, October 6th will be busy ones with kids fashion shows featuring Spring Summer 2014 collection. 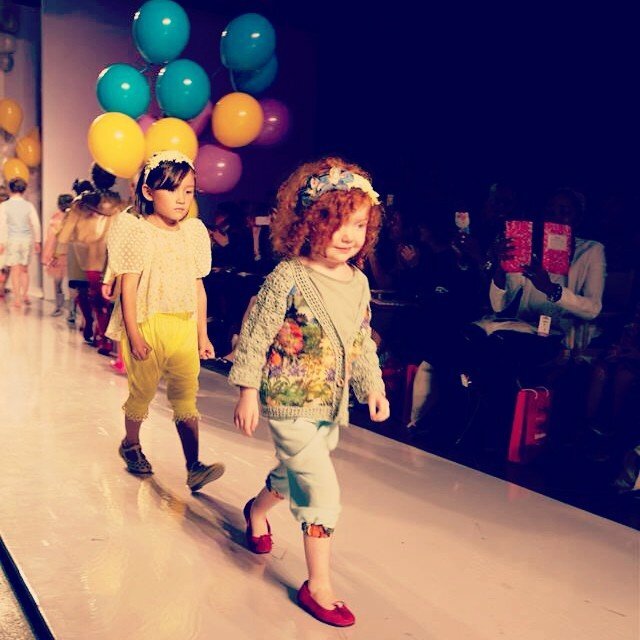 PetiteParade started their first kids fashion week event on September 10th and 11th, 2010. 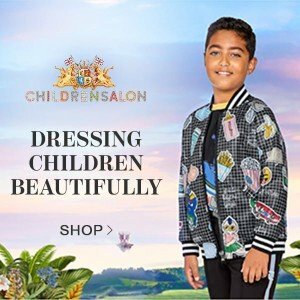 Since then in October and March each year they created a runway showcase created exclusively for the children’s market. Love, Love, Love the Suoak collection by Elly Geana-Park. One of my favorite brands! 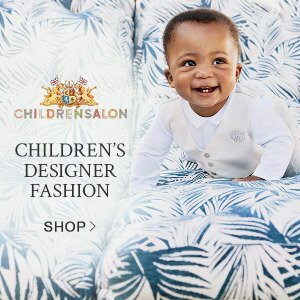 I saw the SS14 collection at Playtime New York in August and it’s one of a kind and each item in the collection is a perfect heirloom piece made with unique fabrics. Adorable boyswear Andy And Evan leads the way on the runway. Posted on Instagram by Andy and Evan Co-found Evan Hakalir. Congrats on the amazing ss14 collection! 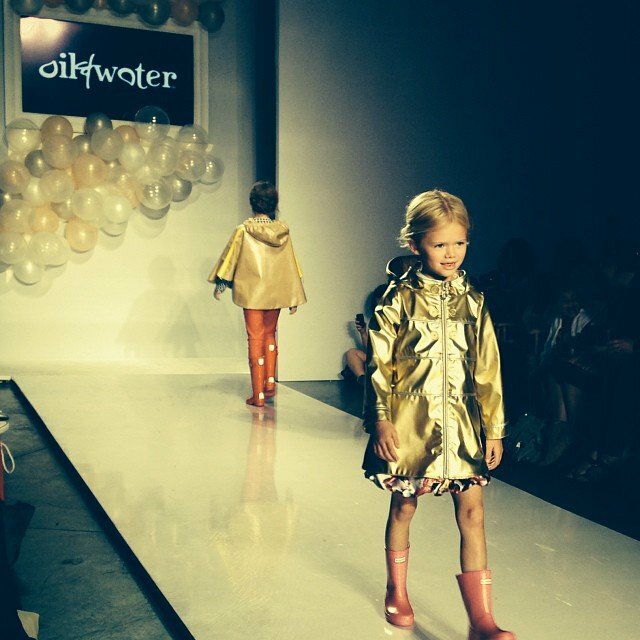 Love this girl rainwear brand Oil and Water Take a peek at this runway photo they posted on Instagram. So Cute!! Another great Instagram by Vitalphotonyc of Lamantine Paris Finale SS14 Runway Show. Tres Chic!!! Great video posted by berrychicboyz finale of Pale Cloud SS14 Runway Show. One of my all time favorite designers on the runway! Pale Cloud from Sweden!!! Love, Love, Love the hair design. UBERCOOL! Bonnie Young Runway show got a big thumbs up! Amazing Camouflage patterns and cute swimwear for SS14. Love this stars dress instragramed by Crystalstreets. Blau4Blau posted this photo on instagram: "the Parsons Alumni show had some of our fav looks! Cute photo from healthhappybaby on Instagram: "Backstage at @petitePARADE and we are loving the #floral hair accessories on these lovely ladies! Ready for the #parsons closing show! Next up: Showcase by Parsons The New School. 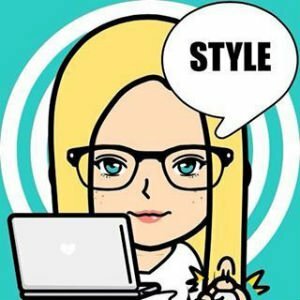 Check out this video on Instagram by styleCarnival. Style Carnival posted this adorable photo of the Swarovski Dress by Milly minis. Mommy Tips By Cole posted this great video on Instagram: "P diddy (w/his son, mom n sons mom) spotting here". Swarovsky fashion show begins now! The #petitePARADE #trulyscrumptious fashion show has come to a close. This has been one truly special day! 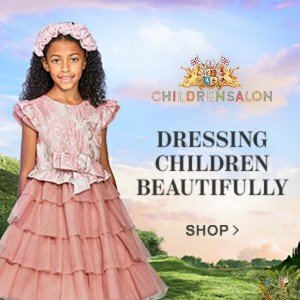 BabiesRUs just posted this adorable video of the closing of the Truly Scrumptious by Heidi Kulm Show. 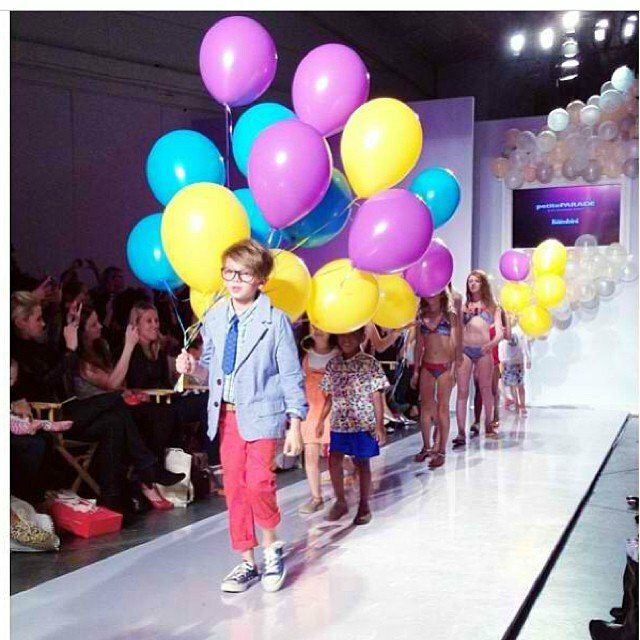 "The #petitePARADE #trulyscrumptious fashion show has come to a close. This has been one truly special day!" Congratulations on an awesome show! Looks like Heidi Klum is ready! She just posted on Instagram this photo: "2 hours to showtime!!! Backstage photo Instagram of these two adorable models and best friends Julian and Mason are all ready for the truly scrumptious fashion show! Backstage Fun: Kiddies giggle and gossip as they wait for the #TrulyScrumptious for @babiesrus show at #petitePARADE ! @star_kidz_site Angelina G. Porcelli will be walking for Mischka Aoki for Swarovski then Sunday JC Penney & Bonnie Young. Model Angelina G. Porcelli posted that she”ll will be walking for Mischka Aoki for Swarovski today and then on Sunday for JC Penney & Bonnie Young. Go girl! Time to cheer, the #petitePARADE is here!